Online drawing tools, often used for (AWS) cloud diagrams. "highest user rated productivity tool in the Chrome Web Store"
is full of case studies, implementation examples, and a survey of the current landscape. 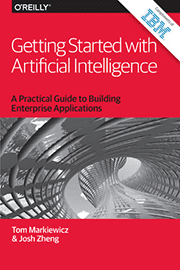 It's an ideal starting point for your journey into enterprise AI. And it's free courtesy of IBM." "About this course: What is machine learning, and what kinds of problems can it solve? Google thinks about machine learning slightly differently -- of being about logic, rather than just data. We talk about why such a framing is useful when thinking about building a pipeline of machine learning models. Then, we discuss the five phases of converting a candidate use case to be driven by machine learning, and consider why it is important the phases not be skipped. We end with a recognition of the biases that machine learning can amplify and how to recognize this. ... learning how to build and operationalize TensorFlow models."